When a little girl moves to a new town, she's delighted to find a place labelled "Butterfly Park" next door. Yet it's only a bare, empty lot. Determined to make the land live up to its name, she makes efforts to encourage butterflies to come, planting flowers and soon her friends and neighbors are helping her to create a real butterfly park. MacKay's glowing cut paper illustrations are a highlight. Include in a storytime for older preschoolers or early elementary age children on butterflies, nature, the environment, or a more general theme of change, making the world a better place! *Including here because of visit to Japan and the distinctive Japanese elements included. 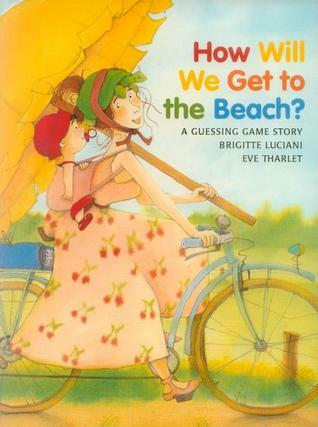 A fun guessing game story for an ocean-themed or counting storytime. Roxanne is going to the beach, and everything she wants to take can be counted on one hand. But when the car won't start, she must find another way. Each mode she tries won't allow one thing to go, and it's different each time. The ball won't fit on the bicycle, the turtle isn't allowed on the bus, etc. Each time children will try to guess which of the four items is missing. Great for encouraging interaction in storytime, and since it is limited to five items, also doable by young children. The wolf asks everyone he encounters in the forest who is the strongest. 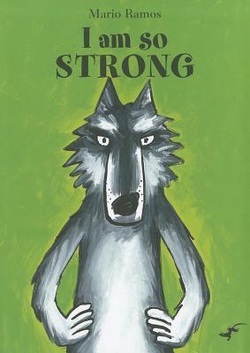 Not surprisingly, all the animals, from a rabbit to Little Red Riding Hood to the Three Little Pigs agree that he, the wolf, is indeed the strongest. Handsomest. Mightiest. Terror of the Forest. He becomes more and more puffed up by their compliments . . . until he gets to a "little toad of some sort" who says his mother is the strongest. And the kindest. The wolf is amazed and angered . . . and then humbled as a huge dragon enters the picture . . . though she's way too big to fit on the page. Perfect for a slightly fractured fairy tale storytime! Beautifully done! A very large book that you read on its side. 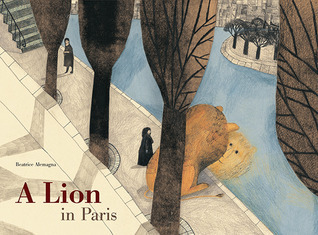 It's a sweet, droll (very French) story of a lion who is bored with his grasslands so leaves for Paris -- "he set off to find a job, love, and a future." Wonderful images of Paris and how the lion eventually feels at home there. A pleasing little book for toddler and preschooler storytimes. Mr. King (a cat) wants to build himself a BIG castle on his BIG hill -- and so he does, without a thought to his surroundings or his animal friends. Fortunately, he realizes his mistake and is able to set things right. The appealing animal characters are drawn with appropriately quizzical expressions -- Old Jim Elk wonders where the flowers have gone, and Skit and Skat the squirrels can't find their "secret stash of nuts?!" After Mr. King sets things right, his understanding friends also help him to make an appropriately sized castle of his own. Polar Bear can't find his underwear! Fortunately, his friend mouse has offered to help with this unusual dilemma. In this guessing game book, a cutout of the facing page reveals a pair of underwear. Is the striped underwear Polar Bear's? No, it's zebra's of course! What about the tiny flowered pair? No, that's butterfly's. And so it goes . . . until Polar Bear remembers something crucial in the end. Be prepared for gales of giggles if you share this one! 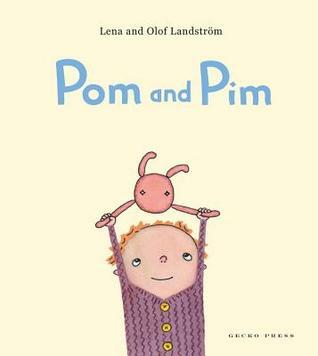 Husband and wife collaborators Olof (illustrator) and Lena Landström (author) live in Stockholm, Sweden. (Olof was born in Finland). A classic tale of good luck/bad luck: Pom finds money (good luck!) and buys an ice cream (which he shares with Pim of course); but he eats too much and gets a tummy ache (bad luck). The brief text and expressive illustrations make this a good choice for toddler and preschool storytimes. Penguin is searching for his friend. His journey takes him up and down, exploring opposites in a new ways in his search. The innovative use of flaps in this concept book will delight young readers. Bold colors and the striking design will also appeal to young children and the large size makes it a well suited (unlike many flap books) for storytime sharing. Illustrator lives in Mexico City. Chepito is not keen on going to school. Before it is time to leave, he runs outside, asking everyone he encounters why they are reading. Answers vary from "to see who won the game" to reading a manual to fix a car to choosing a new hairstyle to reading hieroglyphs on Mayan ruins. When Chepito returns from school, the first thing he does is to sit down to read a book, and offers to read to his little sister. I love that when his mothers asks if he learned to read on the first day of school, his answer is no, "but I can tell by the pictures."